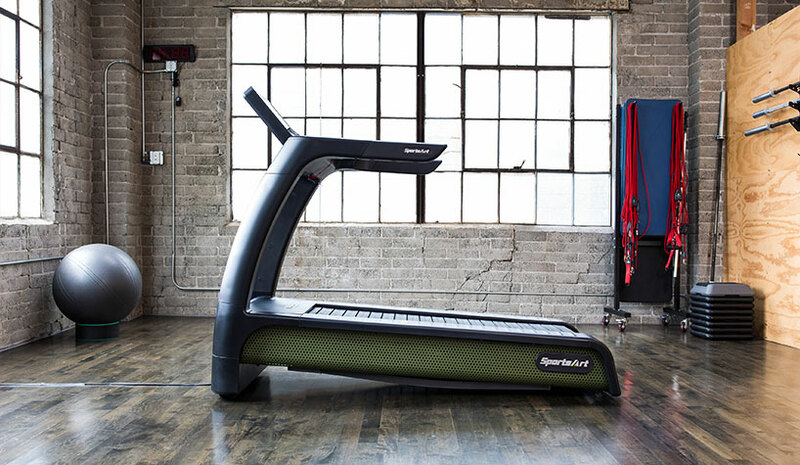 An eco-friendly treadmill by SportsArt. LUGANO, SWITZERLAND—Getting the heart pumping after a gym session can release endorphins and raise your energy level. Fitness buffs can take it one step further by turning sweat into electricity. SportsArt creates eco-friendly treadmills, ellipticals and bicycles that harness the power of a workout and puts it back into the grid. A commitment to sustainable business solutions and practices is one of the company’s hallmarks. Its goal is to make products that are not only socially and environmentally responsible, but also solve problems for facility owners. A player in the hotel industry, SportsArt has signed international agreements with major brands like Radisson Hotel Group and Wyndham Hotel Group. “With no doubt, SportsArt has been an industry leader in innovative design and manufacturing excellence since 1977. The company consistently seeks to advance industry standards, positioning itself as one of the most creative manufacturers of premium quality fitness, medical, performance and residential equipment,” said Giovanni Berselli, EMEA sales director, SportsArt. As a traveler himself, Berselli has observed that sometimes there’s a confusion or intimidation factor when it comes to gym equipment. SportsArt equipment is designed to be simple to use and fully featured for a range of exercise enthusiasts—from beginners to athletes. Every hotel is charged with making the stay memorable. Providing exercise machines that go beyond the workout is just one way to stay on the guest’s mind after the visit. Berselli noted that SportsArt’s Eco-Powr equipment has been specifically created to help hotel managers and general managers to capture that guest with the millennial mindset, who is increasingly environmentally sensitive; enhance the guest experience; and increase guests’ loyalty to the brand.